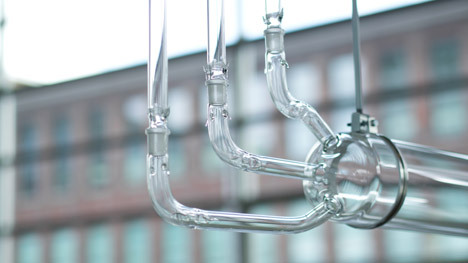 Dutch Design Week 2014: smells of sweat, grease and metal waft from the glass tubes of this installation, created by Design Academy Eindhoven graduate Mickaël Wiesengrün to add historical context to its setting in a former factory. Mickaël Wiesengrün's Révélateur installation aims to evoke the previous use of its location using smells that would have been present there. "It puts out the smell of the past," Wiesengrün told Dezeen. "I wanted to do this to contextualise the present with the past, it's a bit of nod to the past to understand why we are here." 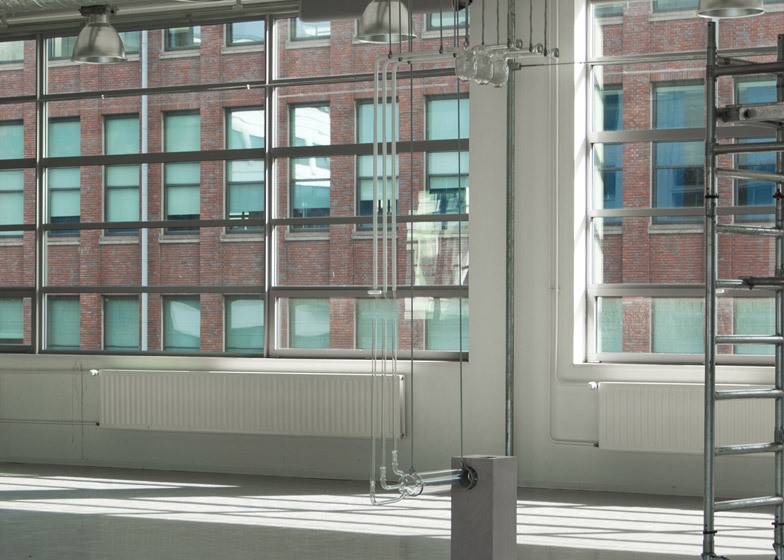 The Design Academy Eindhoven building where the institution's graduate exhibition is hosted was previously used by Dutch technology company Philips as a lightbulb factory. Wiesengrün worked with Norwegian chemist Sissel Tolaas to create the scents of sweat, grease and metal, which he believes represent what the building might have smelled like during production. "It's the smell of hard work; of the hard workers who built this place and who are indirectly why we're stood here today," said Wiesengrün. "It's very important for [visitors to the exhibition] to understand about back then." 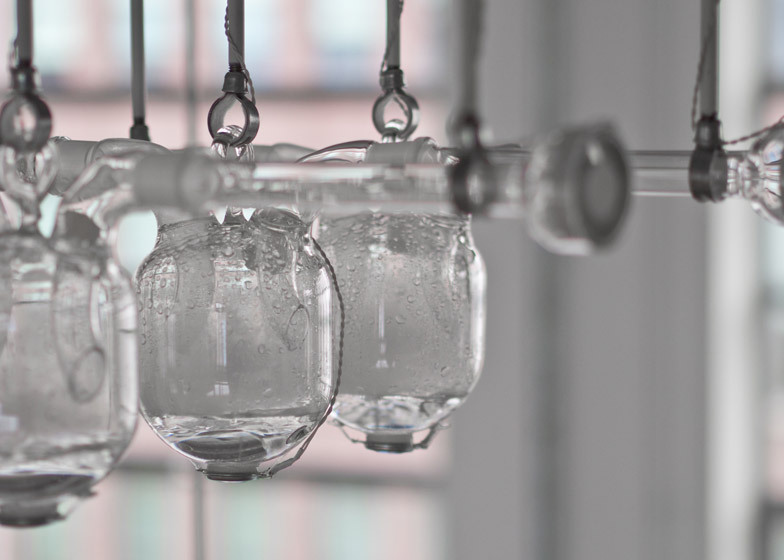 To disseminate the smells and create visual intrigue, the designer has built an installation of glass beakers and tubes. "People tend to neglect smells in [exhibition] contexts and just go for the visuals," Wiesengrün said. 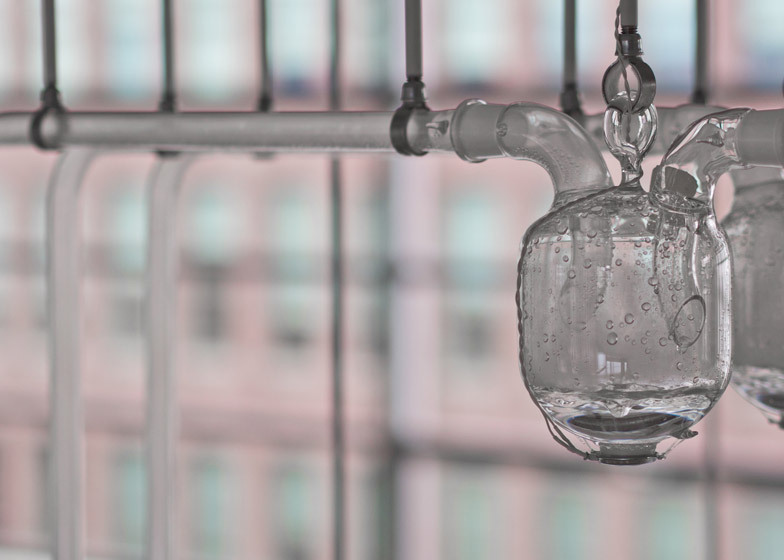 Each of the three chemical "smells" are dissolved in water and held in separate beakers, which are suspended from the ceiling above head height. Ultrasonic vibrations are used to change the liquid into vapour to give the smells a physical manifestation. 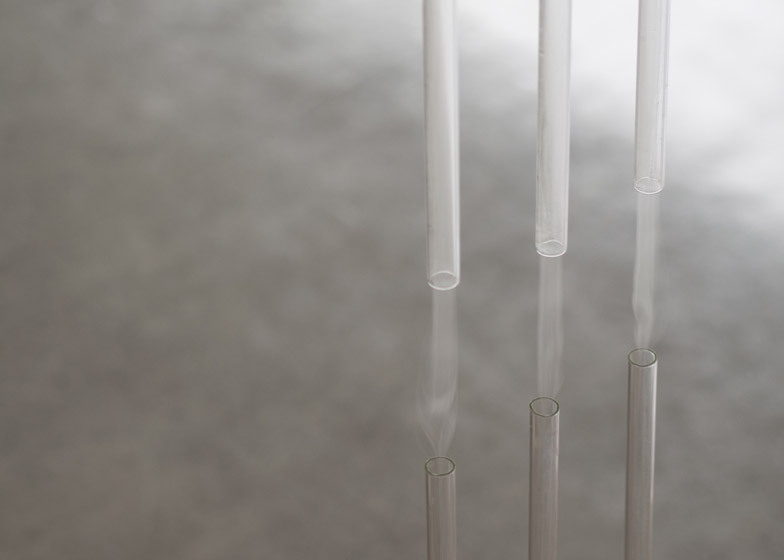 Suction draws the fog down through the three tubes, which are mixed in a larger horizontal chamber before the combined smell is blown out from a floor-standing plinth. The tubes are broken in the middle, approximately at nose height, so each of the scents can be sampled individually. 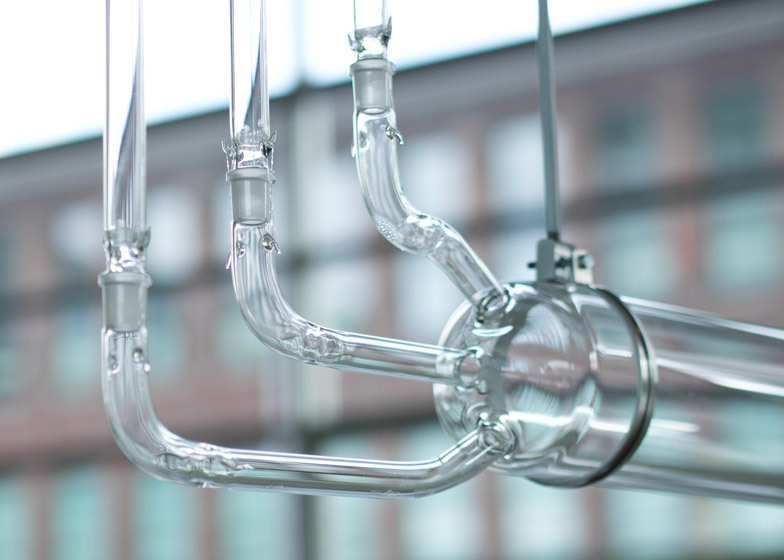 "This also has connotations of a factory production line, where you can open a pipe and really gather information from the process," said Wiesengrün. The project relied on the collaboration with Tolaas, who uses chemistry to recreate smells from reality and was previously involved in making human cheese. She will continue to work with Wiesengrün when the installation moves to new locations and needs a new set of scents. "I've always been fascinated by smell," Wiesengrün said. "I grew up in Chamonix, in the French Alps, and was surrounded by forests. Every time I smell forests, I get flashbacks of where I grew up." "I'm not interested in creating smells, I'm interested in shaping them using fog, which has the ability to transmit the smells." Révélateur is on show at the Design Academy Eindhoven exhibition during Dutch Design Week, which continues until 26 October, along with a chair that allows the user to control their computer cursor with a range of body movements and an energy-saving alternative to the kettle.